Do you like Dice? Do you like Tins? 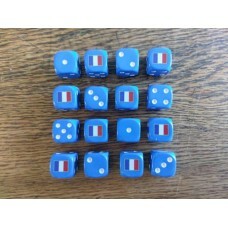 Now you can combine your two favourite ..
A Set of 16 - French Tricolour Dice (16mm). These custom designed dice hav..
A Set of 16 - WW2 Dice - Soviet Armour Red Star Dice (16mm). 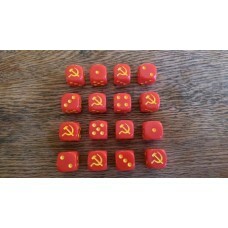 These custom ..
A Set of 16 - Soviet Hammer and Sickle Dice (16mm). These custom designed ..
A Set of 16 - WW2 Dice - Soviet Star Winter Dice (16mm). 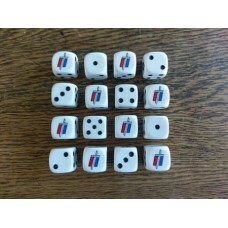 These custom desi..
A Set of 16 - French Armee De Terre Dice (16mm). These custom designed dic..